There is no lack of interesting events to go to in Toronto. Yesterday I joined a meetup group where the organizer set up a couple fun still life scenes throughout a room and challenged the participants to draw them within a certain amount of time. 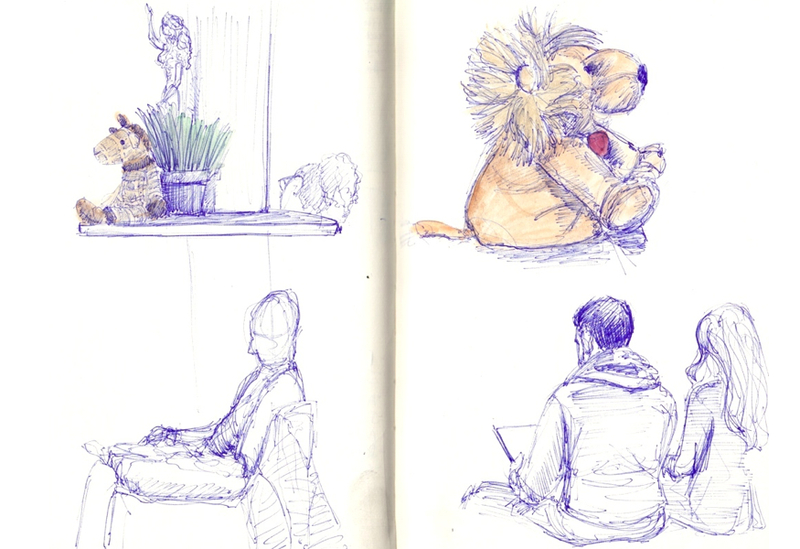 It was great to see people getting back into drawing after not doing it for several years and how relaxed and welcoming atmosphere encourage them to have a little fun. There's definitely something about drawing that gets people to relax and forget about the day to day stress and be in the moment. You don't need to be a professional to benefit from drawing.